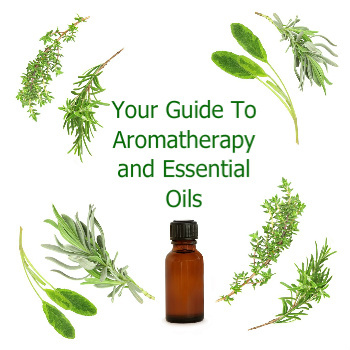 This aromatherapy guide gives you a variety of information related to essential oils and how they work. Essential oils (sometimes inaccurately called aromatherapy oils) are concentrated liquid extracts made from plants. The word "essential" comes from "essence," as in the essence of the plant. For the plants, the components of these oils provide natural defenses against disease and pests. These components also have beneficial effects for people, and the articles in this guide will introduce you to using aromatherapy for yourself and your family and friends. For profiles of essential oils, see Essential Oils Guide. Wondering how many drops of essential oil to use in carrier oil to achieve a specific dilution? A list of recommended books and ebooks for learning about using essential oils. Information about the properties and uses of common carrier oils for essential oils. If you want to study aromatherapy, here's a list of aromatherapy training programs. How to use essential oils with babies and children. How to use essential oils to balance emotions. Massage blends for relaxing, calming, uplifting, invigorating, immune support, and more. Information about the use of essential oils in Ayurveda. How to make aftershave, beard oil, cologne, and more. Descriptions and pictures of the different types of essential oil diffusers. Information about using aromatherapy if you have epilepsy. Guidelines for using aromatherapy safely, including the shelf life of essential oils, dilution, and skin safety. The safe use of aromatherapy during pregnancy. How to use essential oils based on five element theory. Brief background about the use of aromatic oils. An explanation of how aromatherapy works. Instructions for making essential oil and hydrosol using a homemade still. Learn about aromatherapy waters and their uses.